Folks always say that it is tough growing up when you're the geek of the crowd. All that isolation from studying and keeping up on the latest of software innovations can be pretty rough on anyone. So, when you're all that and you're surrounded by a bunch of powerful magical girls who are able to unleash true devastation upon the enemies from the Dark Kingdom while you're initial ability is just to kinda fog up the room, you might feel like a total outcast! 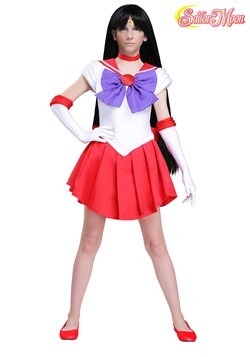 But, fear not, brave Sailor Scout. The whole adventure would have been over and the rest of humanity would be an empty husk while their energy was being munched down by an arcane abomination if not for the quick tactics of young Ami. It is for this and her stellar intelligence and tactical mind that she's usually her the favorite (so long as that goofy Chibi Moon isn't around to steal the stage with all her delightful Oh, I'm so cute antics). 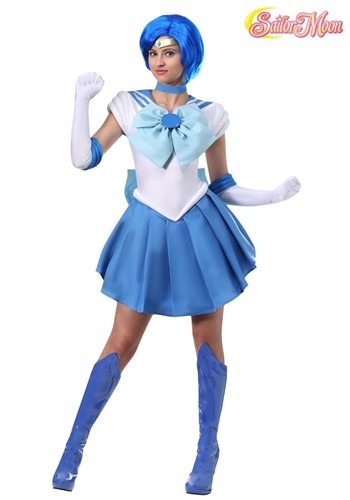 Get that magic transformation pen and shout out your favorite magic girl phrase, because it is time to save the galaxy with this Women's Sailor Mercury Costume! We hope that your favorite color is blue, because you're going to feel the total opposite when you're decked out in this white, blue, and turquoise dress styled exactly after the iconic and intelligent savior of the galaxy. 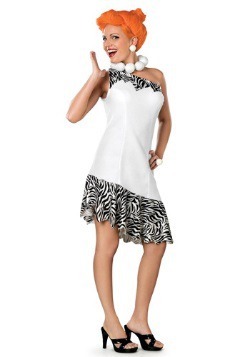 Between the pleated skirt, flashing bow, and Sailor Mercury tiara, you've got the whole look. The only thing you'll be missing is some magic bubbles and the enemies of light won't know what they're in for! THEY CAN'T DO ANYTHING WITHOUT YOU! The rest of the Sailor Scouts might have some pretty impressive fire power, but when they don't have their tactical genius at the helm, we might as well just turn over our souls to the Dark Kingdom before the fight even begins. 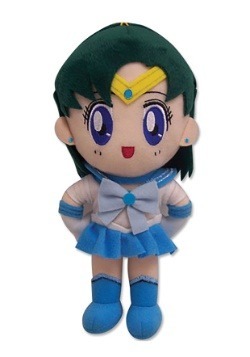 Team up with the rest of the Sailor Moon crew and keep them in line as Sailor Mercury!